Super Stretchy and Super Sticky, The Amazing Plumbing & Electrical Tape works very well in UV/Sunlight and has strong Adhesion. Works well in cold and humid conditions and has good water resistance. Made from PVC with a tensile strength of 3293# per sq inch, elongation of 467% based on 1/2x12" strips/ASTM testing, and dielectric of 6900 volts. 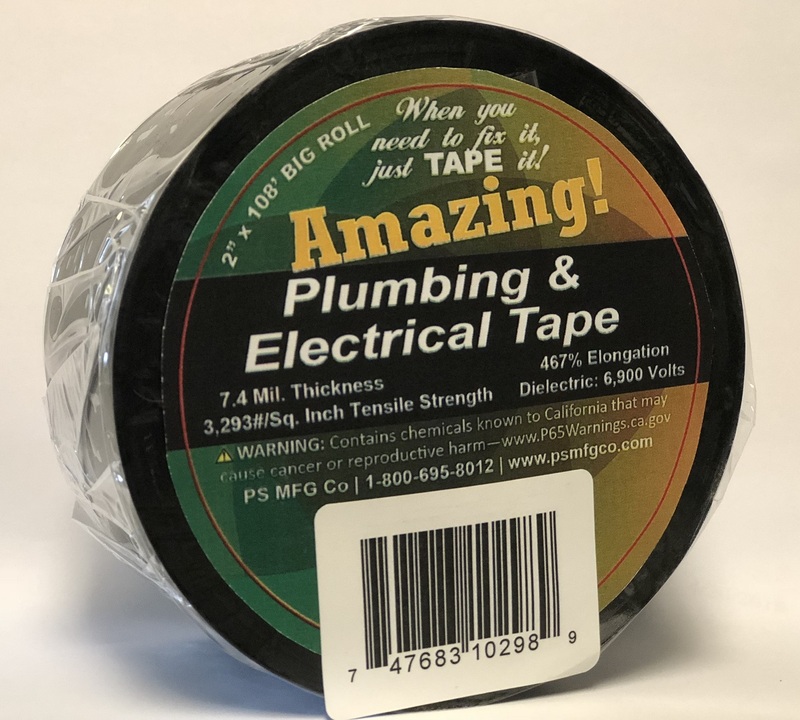 The Amazing Plumbing & Electrical Tape has a thickness of 7.4 mil and is available by the roll (priced above) or in case pack quantity of 24 rolls per case.